Treat yourself and a friend to a lovely ice cream dessert that will certainly satisfy even the biggest of cravings for something sweet. 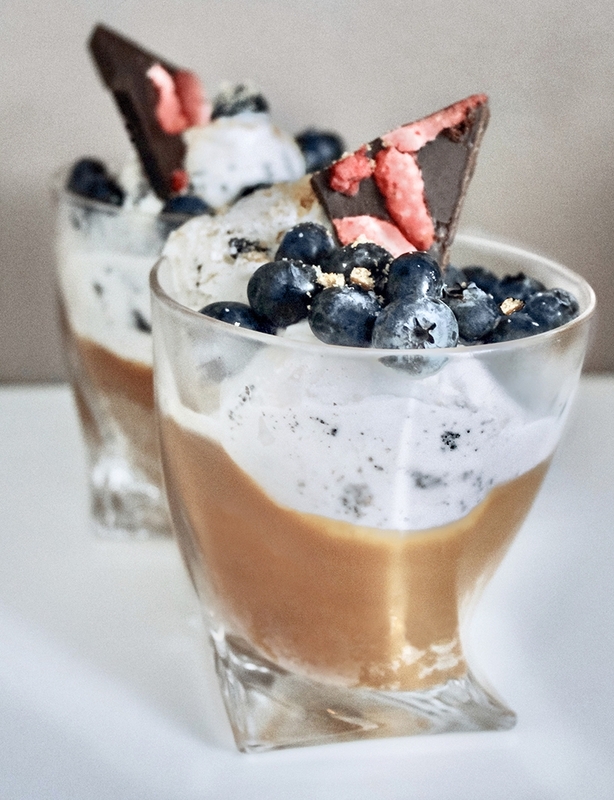 We created a lovely sundae recipe that looks as good as it tastes! The Winston Ice Cream Sundae is prepared in layers. Start by preparing the biscuit base. Put the biscuits in a zip lock plastic bag and crush by using a rolling pin. Put a pinch of crumbs aside for the later decorating stage. Mix the remaining biscuit crumbs together with the melted butter in a bowl. Next, use a teaspoon to press the biscuit batter to the bottom of the Winston Tumbler, thereby forming a firm layer of approximately 1 cm. For the second layer, pour the caramel sauce on top of the biscuit layer to once again form a layer of 1 cm (or according to taste). Note that the caramel will rise up around the edges when you add the ice cream. Put the glass inside the fridge for one hour to condense the digestive base. Once the layers are cooled down, add the ice cream on top. Decorate the sundae with blueberries and biscuit crumbs. Add an asymmetrical piece of dark chocolate for a beautiful finish.